We wonder how many people notice this notice. They managed the superior 'T', but failed on the possessive apostophe of "Dog's". As noted elsewhere, the commissioners of street nameplates – and their manufacturers – "don't do apostrophes", except in rare examples such as "St Edmund's Road" as shown on our Blue plaques page. This is attached to The Plough public house on the corner with Turret Lane (which gets a bit lost in the Old Cattle Market bus station). 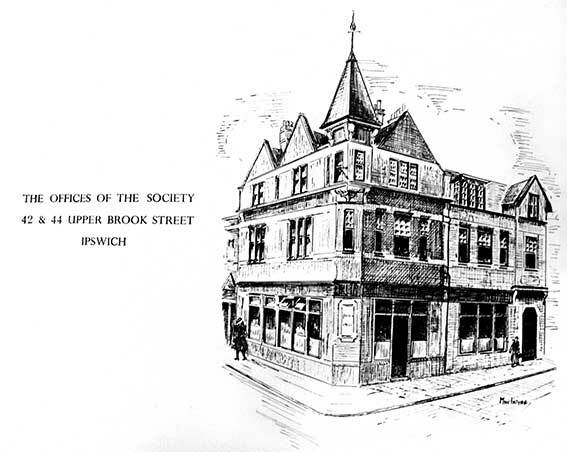 We learn from the Suffolk CAMRA website (see Links) that the original building dates from the 17th century. At some time in late 1880s this building was much reduced in size when Dogs Head Street was widened and straightened for trams. 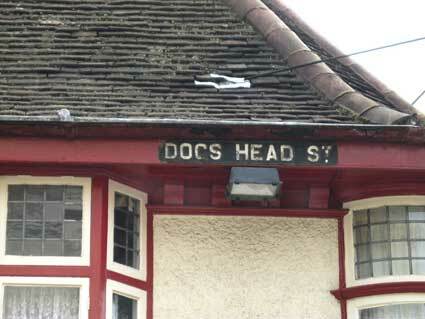 Dogs Head Street had for centuries before that been no more than a narrow lane. Also of note is the fact that The Plough is one of a handful of buildings in the town to feature an Ipswich window (seen above the corner door). 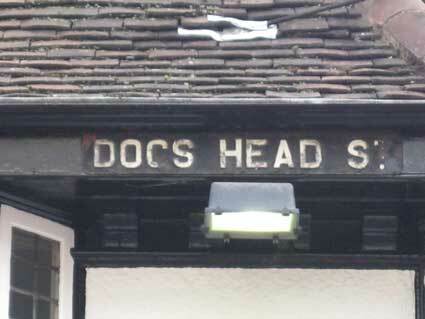 The rather grisly source of this strange street name is an inn called The Dogs Head in the Pot (see Street name derivations) which stood on the Brook Street corner in the seventeenth century. 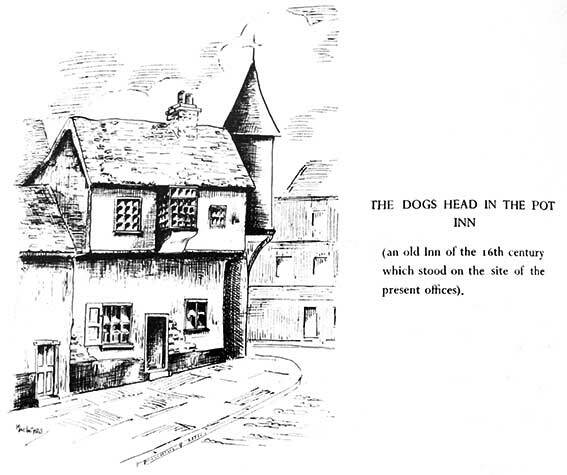 It was The Dogs Head in Pot Lane in 1694. 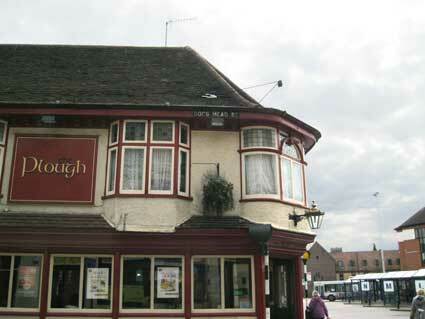 It seems to have been called The White Hart and The Punchbowl at various times. See our Brook Street page for a more recent image of the building (and its crest). See our Princes Street page for 'Mutual House' on the corner of King Street: the town centre branch of IBS from 2018. There is more on this street on the Edme Bakery page. See our Turret Lane page for a 1902 map of the area.